Providing Historically Underserved Families... In Urban And Rural Communities... Affordable Living Solutions! We are a local 501(c)(3) non-profit, DLN: 17053073360017, providing supplies, shelter, and services to our historically underserved and marginalized communities. We are everyday people, coming together to improve the lives of families in our communities. Through creativity, new ideas and dedication we are able to help families that need assistance. We are Oregonians, united to create a better community, wonderfully talented people consisting of diverse economic, ethnic, cultural and religious backgrounds that include the elderly, people of color, immigrants, the disabled and LGBTQ expressions. Our current programs: Food For Families, Disaster Relief, Affordable Housing Tiny Home Communities, and our flag ship program Gas From Trash where created and designed to improve the lives and financial stability of historically underserved and marginalized families including those within the LGBTQ community. Each program is designed to benefit our diverse community by providing them access to food, shelter and supplies. 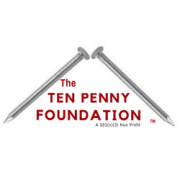 Would you recommend TEN PENNY FOUNDATION?